Forex Trading strategies – Have you ever wondered about the import-export happening in the countries? Consider, If India exports its Alphonso mangoes to the US, then what will it receive in return? any guesses?… US mangoes? US goods? No!!! But the Money. Some of you may have the question here that “which kind of money will India receive?” If it receives dollars, then what government will do with the dollars, will it circulate for the daily use with Indian rupees? The dollars given by the US are converted into Indian rupees and then they will be circulated for the use in the country. You must be wondering that how this conversion must be done? By doing some magic tricks or printing the dollars in the rupee form. Let me help you out in clearing this confusion. The foreign exchange market, which is usually known as “forex” or “FX,” is the largest financial market in the world with $5 TRILLION a day trade volume. Below is a forex trading strategies chart from which you can get an idea of what kind of trading must be happening in the forex market. What is Forex Trading Strategies (Forex)? Foreign exchange refers to an exchange of currencies. It is trading of currencies from different countries against each other. The FX market is the place where different currencies are traded. What is traded in Forex market? Nothing but the MONEY. As there is no physical buying or selling of goods, it can be a bit confusing. Think of buying a forex trading strategies currency as buying a share in a particular country, kind of like buying stocks of a company. The price of the currency is a mirror which shows, what market thinks about the current and future health of that Country’s economy. When you buy, say, the Australian dollar, you are basically buying a “share” in the Australian economy. You believe that the Australian economy is doing well, and will even get better as time goes. Once you sell those “shares” back to the market, hopefully, you will end up with a forex trading meaning profit. It is clear that it is all about the trading of money, but where is the Market or the place where this trading takes place? Hold on!!! There is also a concept called FOREX Market which is explained in the following paragraph. The foreign exchange market(FOREX Market) is the World’s biggest O-T-C market or the “Interbank”, market due to the fact that the entire market is run electronically, within a network of banks, continuously over a 24-hour period. This means that the forex market is spread all over the globe with no central location. Forex market is the most liquid market in the World. Basically, you buy one forex trading strategies currency and sell the other for the purpose making profit. The main goal is to make a profit when the exchange rates of the currencies traded move as per your speculation. More than 90% of all currencies are traded against the US Dollar (USD). How Does Forex Trading Strategies Work? 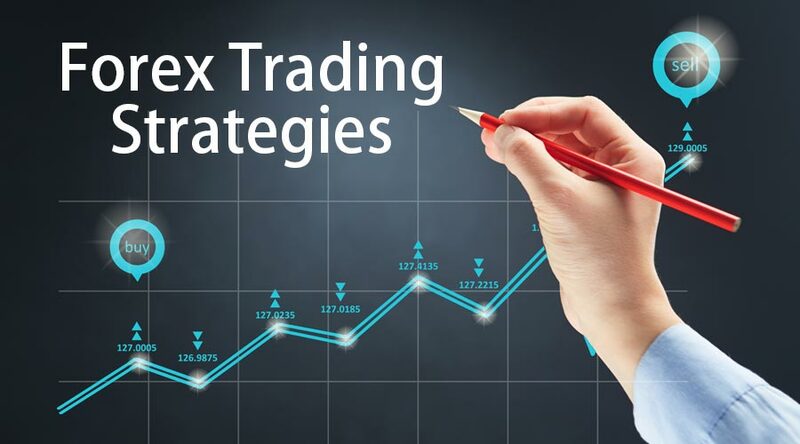 Forex Trading strategies are similar in concept to share trading that is, as a trader if you choose a currency pair, which accordingly you expect to change in value; that is if you had purchased 500 Euros in June 2012 of cost $700 USD and after waiting for some time like 10-12 months the value has increased such that 500 Euros valued at $800 USD then you want to book profit with gain of $100 dollar. These trades are placed through forex trading tips broker or market. And the process of placing orders is very easy with just a few clicks. In next step, Broker will pass the order to the partner bank where your position for that order is booked. When you want to come out of trade broker will close the position in the market. Thus as per market conditions accordingly credits or debits happens in your forex trading tips account. In the global market today, businesses today, are operating all over the world as products or goods are transferred from one country to other countries. For that purpose, a currency of countries differs, for example, India’s currency is Rupees and that of US currency is dollars. Hence in that case for successful trade, they need to exchange their currencies. As there are traders or the individuals who see the Forex from the profit-making purposes. These people if expects one currency to rise against other then they will make a trade on that currency. As the forex trading strategies institutes or the individuals trading in foreign exchange receives various prices from banks or other networks they tend to receive brokerage in trades. From the above table, you might be running in a confusion of how the currency code is decided? Currency symbols are always indicated by three letters, where the first two letters recognize the name of the country and the third letter recognizes the name of that country’s currency. Take USD for instance. US stands for the UNITED STATES, while D stands for Dollar. For example USD/GBP, EUR/JPY are known as Currency pairs. First among the pair is known as “Base Currency” and the other one is “Quote Currency”. Here USD, EUR is the base currencies and GBP, EUR is the quote currencies. The first numerical value in above notation denotes the amount of GBP that is equivalent to one USD. Here the difference between the prices shown is counted to the fourth decimal place and it is known as a pip. In our case, there are 7 pips. According to the International Monetary Fund (IMF), the U.S. dollar comprises roughly 61% of the world’s official foreign exchange reserves! The United States economy is the LARGEST economy in the world. The financial markets are the largest and most liquid in the United States. Also being strong country it has a super stable political system. Spot Market: In the spot market, currencies are traded immediately or “on the spot,” using the current market price. What is important about this market is its simplicity, liquidity, tight spreads, and round-the-clock operations. Futures: Futures are contracts to buy or sell a certain asset at a specified price on some future date. It is a binding contract between the two parties (buyer and the seller), which allows them to trade a certain amount of currency pair at a predetermined price in future time. Options: An “option” is a financial instrument that gives the buyer the right or the option, but not the obligation, to buy or sell an asset at a specified price on the option’s expiration date. If a trader “sold” an option, then he or she would be obliged to buy or sell an asset at a specific price at the expiration date. Exchange-traded Funds: Exchange-traded funds or ETFs are an investment fund which is traded on the stock exchanges like shares. They are invested in a single currency or basket of currencies. The investors who are not more inclined towards futures or forex markets uses currency ETF’s. Time and place flexibility – As we know the market is open 24 hours each day, so we don’t have to worry about the managing our own time. Also, we don’t have to visit any place or the location for trading purpose. It can take place from any part of the world. Highly liquid market – The market is so huge, that it is extremely liquid. Around 4 trillion dollars are exchanged every day. By using the benefits of Stoploss you can keep an eye on the market conditions without causing much loss. Low transaction costs – The transaction costs are determined by the bid/ask spread, is usually less than 0.1%, and in case of large dealers, it may be even lower. Margin-Based Trading – Once you have funded a margin account with your broker, you can engage in any trading activity you wish so long as you have sufficient margin remaining in your account. As we know, every coin has two sides; we need to focus on the other side as well. There are some risks which are associated with the Foreign exchange trading. Exchange Rate Risk: This type of risk can arise when there is an imbalanced supply and demand situation in the forex market. So traders have to be careful, in terms of putting limits on trades in the form of stop loss. Interest Rate Risk: These are the risks which are related to futures, swap and forward trading. This is due to the fluctuations, maturity gaps and amount mismatches occurred in the trade. Country Risk: This risk is very crucial because of the interference of the government involved in the markets. Sometimes a party may receive some unexpected return due to country’s policy and norms incorporated by a government. Here are some articles that will help you to get more detail about the Forex Trading Strategies so just go through the link. Started trading with them about a month ago and so far so good. no special comments.